Step 3 (6-9 years) is tailor made for mix of milk and permanent teeth. The precision Jordan Target range offers solutions for sensitive teeth, healthy teeth and gums and whitening stain removal. Ultimate You is a Red Dot Design winner combining leading fluorescent design and ergonomics. 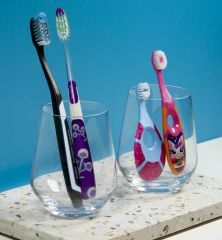 Jordan Individual is the brand’s bestselling toothbrush that comes in an array of contemporary designs to suit every preference. Lastly, Expert Clean is Jordan’s most sophisticated toothbrush with advanced Clean tech™ bristle technology and GumCare™ bristles.